Good hygiene breeds good health. As such, it is vital to inculcate good hygiene practices from a young age. These practices begin with knowledge and awareness. In line with this purpose, various educational talks and seminars are organized by R.E.A.L Schools every year to ensure that students are equipped with knowledge and information that go beyond textbooks and classroom lessons. 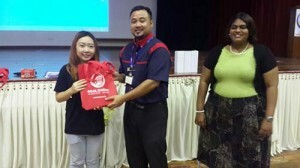 In March this year, R.E.A.L Schools National, Shah Alam Campus in collaboration with SEGi University Damansara’s Medicine Department organized a free ‘Health Talk’ to raise awareness on the topic among students. The one-and-a-half hour session was held at the Hall of Character and attended by a total of 400 Senior 1 to 5 students, along with 20 teachers. The guest speaker from SEGi enlightened students on the common diseases and infections that can occur from poor hygiene and unsanitary living conditions. Being more than just a talk, the session also included practical activities and interactive games such as quizzes, with small souvenirs awarded to students with the right answers. One such ‘hands-on’ activity (literally), was a demonstration on proper hand-washing techniques, which got students involved in the short but interesting and informative talk. 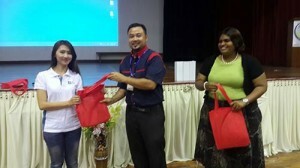 In addition to conducting the free talk, the school would also like to express its heartfelt thanks and appreciation to SEGi University for sponsoring motivational boards, souvenirs and calendars for the Shah Alam Campus students; as well as extending an invitation for them to attend the university’s Science Day that took place last month. With such engaging educational talks being regularly held at R.E.A.L Schools, It is hoped that the students’ would reflect on the take-home message of these talks and put into practice the knowledge that has been imparted to them. This latest initiative on personal hygiene and health would go a long way in teaching and instilling the students with good lifelong values and practices, as well as a whole new perspective on the subject of cleanliness both in school and at home. The post Cultivating Clean and Healthy Living appeared first on best international schools in malaysia.